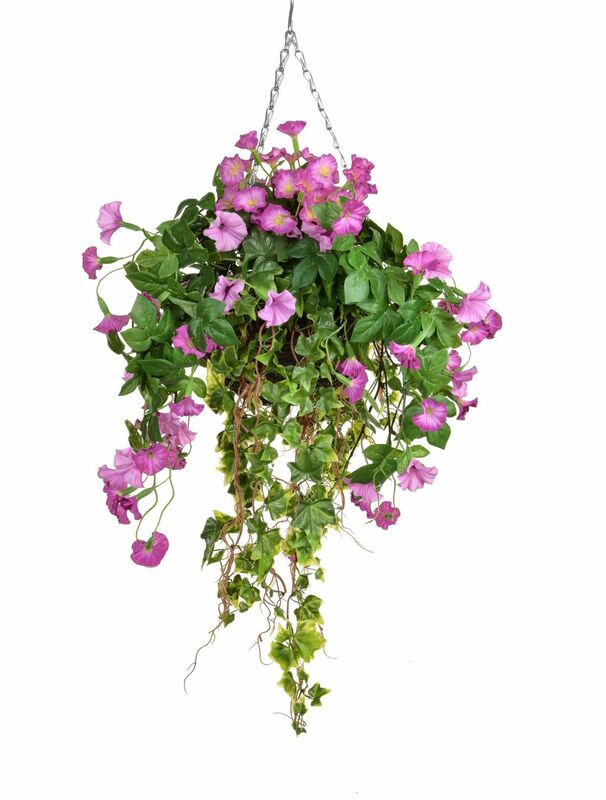 Artificial Petunia Hanging Baskets: are exquisitely life like. 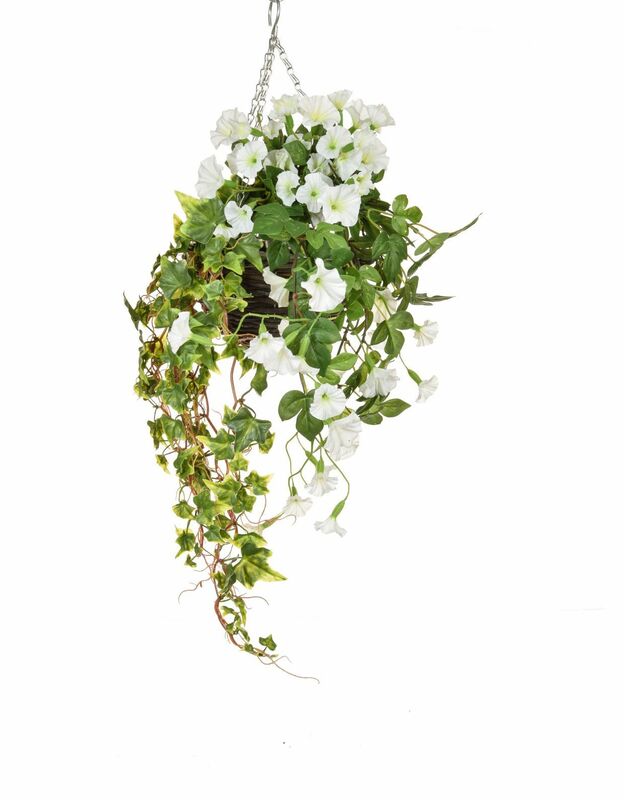 Design highlights: these fake Petunia Hanging Baskets are packed with beautiful colourful flowers. 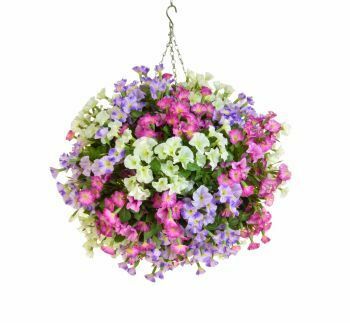 This beautiful basket is part of the Petunia range, which comes in three different flower colours, and three sized Hanging Baskets. The basket size the the smaller basket is approx. 12 inches in diameter. The basket size the the medium basket is approx. 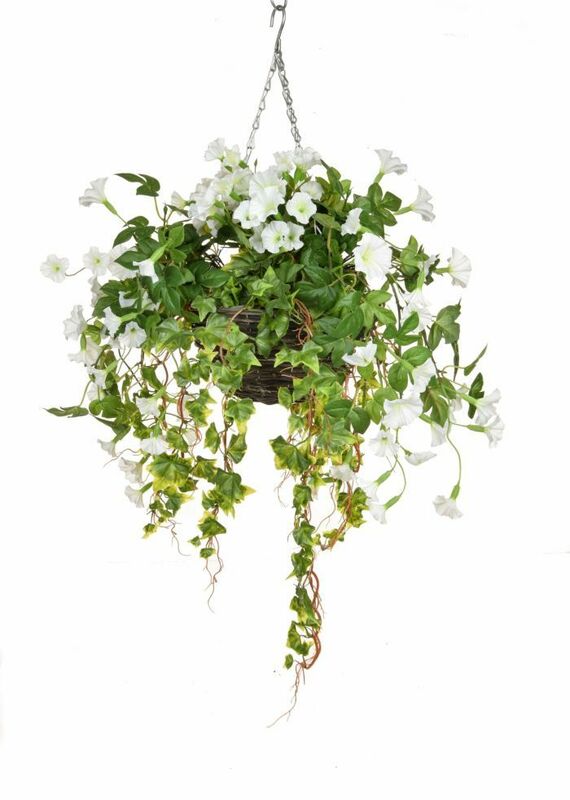 12 inches in diameter and the basket size of the larger basket is approx. 12 inches in diameter has petunia flowing out in mostly every direction. 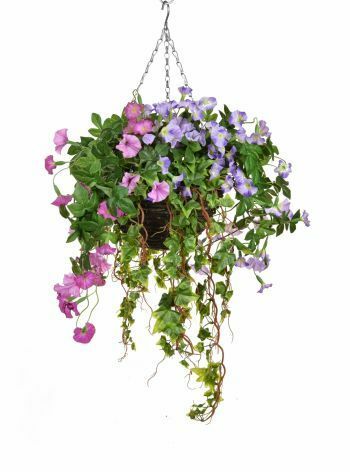 It is suitable for outdoor use. 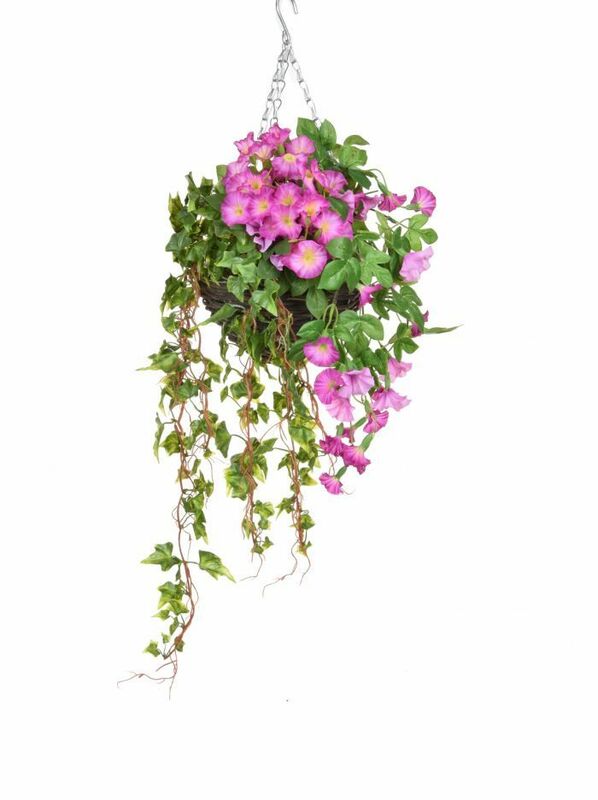 Please note: This product is hand planted to order and we need to allow time for them to set before packing. Generally we say allow up to five working days for dispatch on our foamed items, although we will endeavour to send as quickly as we can. Occasionally we may have certain ones planted all ready to go - so if this timescale would cause you a problem please advise/contact us! 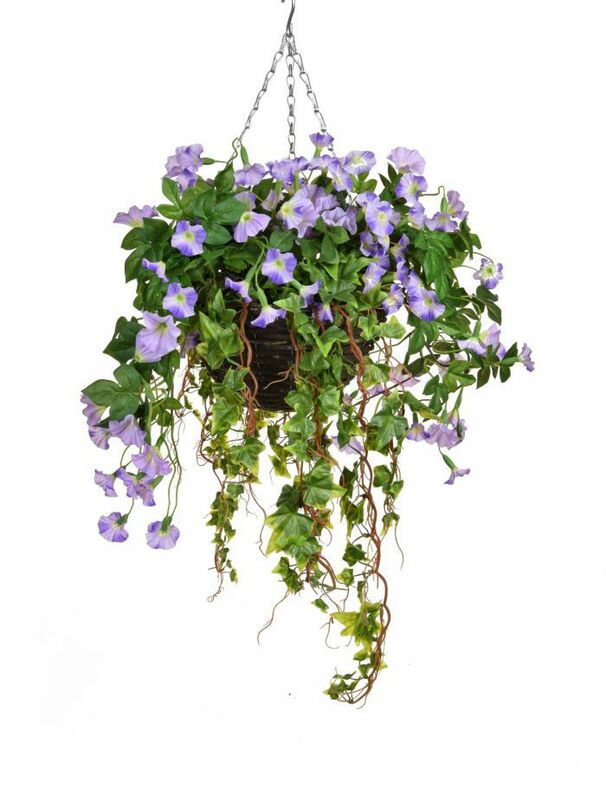 The height from the top of the chain (hook) supplied to the bottom of the foliage/planting is approx. 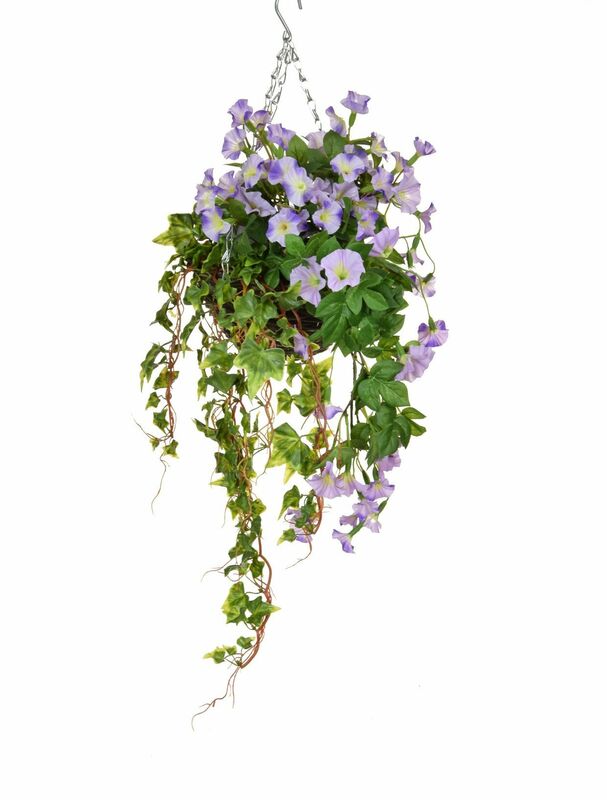 55-60cm.